I’m in a really good place with my shampoo and conditioner situation. I am still using and loving Giovanni’s 50/50 Balanced line with John Masters Organics (JMO) Citrus and Neroli Detangler as a leave-in conditioner. Once out of the shower, I smooth Weleda’s Rosemary Hair Oil all over my hands, and then run my fingers through my hair and air dry. I’ve tried some other shampoos, conditioners, and “products,” but this is the regimen I keep coming back to. I am however, looking for ways to keep my hair fresh between shampoos to save on water and time, both being very precious resources. 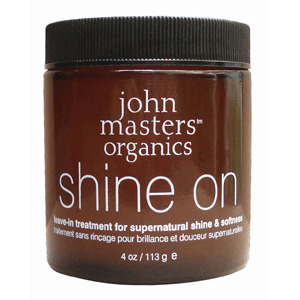 I was anxious to give John Masters Organics Shine On leave-in treatment a spin to see if it could assist me in my endeavor. It’s a thick gel without any scent, and distributes with ease despite its consistency. I’ve discovered that too much will easily make your hair greasy, and too little won’t do much for you, so it’s all about finding the perfect amount for your hair. I have long, thick hair and about a nickel-sized amount applied throughout damp hair does the job. It adds a little bit of extra shine, probably not noticeable to anyone but me, and helps my waves/curls maintain their shape. Honestly though, it wasn’t anything extraordinary. Not until I applied a little bit on my dry hair to tame frizzies did I discover Shine On’s true glory. All I need is a dime-sized dollop rubbed in my palms and gently smoothed on the spots that need some control. This is especially effective when I have my hair pulled back and my renegade strands need reining in. While JMO’s Shine On helps me achieve a tidy “hair-pulled-back” look, Dr. Hauschka Neem Hair Lotion keeps me from feeling like I need to put my hair in a ponytail in order to look presentable. 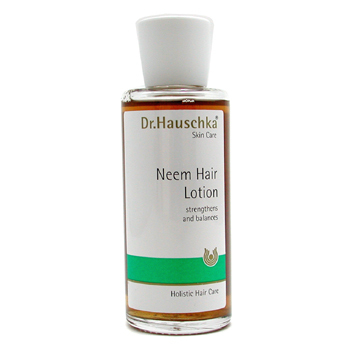 The Haucshka literature and on-line reviews tout Neem Hair Lotion as beneficial for oily and fine hair. It keeps the greasies at bay and adds body to fine hair. Well, I have neither of those, and I still love it. Much to my surprise, the extracts of neem, arnica, birch and calendula work wonders on dry, thick hair as well. I’m willing to concede that my following conclusion might be a placebo effect as I am a huge fan of Dr. H to begin with, but this little elixir gives me soft, shiny hair, even on day 3 or 4 post-shampoo. It’s now a part of my Dr. Hauschka arsenal. 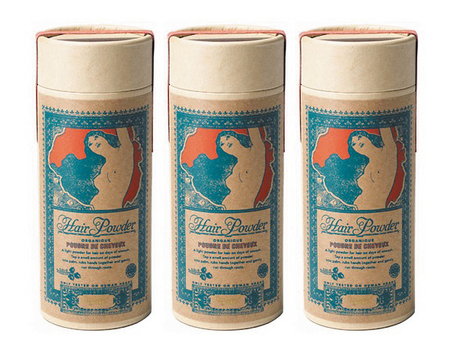 Hair powders can also be used to combat the greasies and give life to your bed-head. My favorite is LuLu Organics Hair Powder, a talc free, essential oil fragranced powder. Other ingredients include organic corn starch, organic rice powder, and white clay. I only have a few samples of the powder from a local hair salon, but the full sized has beautiful labels that are hand-screened by The Paper Moon Project. Not only are they gorgeous to look at, the corn-starch based tubes are also recyclable and biodegradable. Since my hair and scalp lean dry, I don’t reach for the powder until 3 days of unwashed hair and prefer the Neem Hair Lotion for my daily needs. But for those of you with normal to oily hair, this is an ideal product, especially when you’ve got to hurry somewhere and don’t have time for a shower, or even after exercising. The samples I have are over 6 months old and the scents (I have lavender and jasmine) are very faint. They might be more pronounced in a fresh tube. Either way, these Hair Powders are sweet in their soliflore simplicity and practical in their efficacy. All of the above products are 100% natural and contain certified organic ingredients. Disclosure: The sample of JMO Shine On was sent to me by their PR. The opinons in this review are my own. I was not financially compensated for this review or any other. The LO hair powder is very faint. I have a full size of the jasmine and when i open it up i always think, what jasmine? OK, so it’s not just my samples! I am fine with the ultra-light scent. I’d rather not have scented hair products, but maybe they could just make an unscented one, and then amp up the scent in a few others? Let me know if you try any of these and what you think! I want to try ALL of these!!!!!! Thanks, Trish! I haven’t dipped my foot in the natural haircare category too far yet, but i’m looking forward to doing so! I just might have to get a full-sized Lulu powder. Those screenprinted tubes are just too lovely! That hair powder is too gorgeous to pass up! 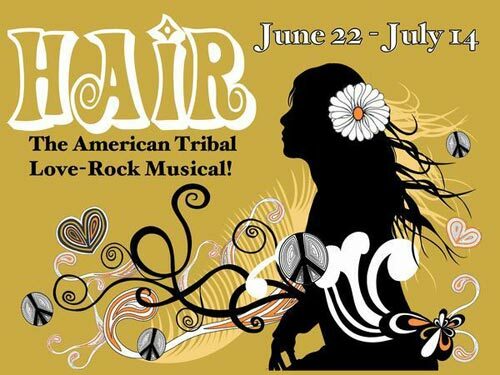 And i’ve been looking for a hair powder in general that works–the fact that this one is all-natural is even better! Since I have fine, normal-to-oily hair, this sounds like a wonder-product. Thanks for the recommendation! I’ve also been dying to fill my shower with anything John Masters Organics because, again, I love the packaging. Such a sucker for a pretty product! I love the JMO neroli detangler. It is awesome! And I just used the Shine On today. Didn’t have time for a shampoo before work so my hair needed to go up in a ponytail. I swear that stuff keeps my frizzies under control like nothing else.